Pal's Hostel Budapest - not a regular hostel indeed but a chain of apartments in the very centre of Budapest around St. Stephen's Basilica. 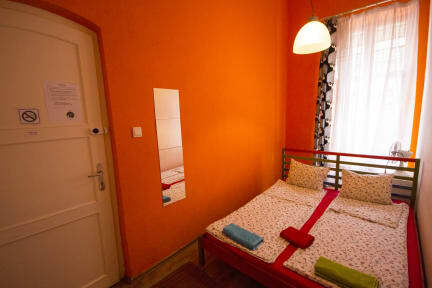 If you fancy privacy and want to stay in a place that feels just like at home, come to Pal's Hostel and enjoy your own apartment in Budapest. We also offer private rooms with shared bathroom. Most of them are in apts we work (where our reception-desk is, where we do the laundry...). All apartments/rooms are within 100-400 meters from our office. Please note that you can take your room from 14:00. If you arrive earlier you can lock up your luggage or wait in our office from 10 am. We can pick you up at the airport for 20 EUR for 1-4 people It means 5 EUR per person, while public transport is about 2.5 EUR per person). Pal's Hostel Budapest is in the very downtown. 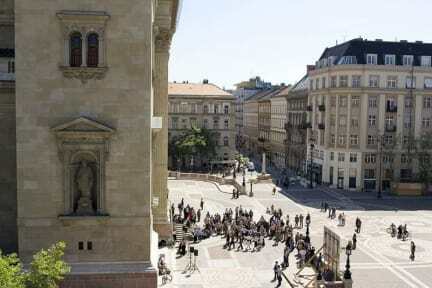 Other important sight-seeing spots like Buda Castle (also part of the World Heritage with the Fisherman's Bastion, Matthias Church and the National Gallery), Heroes' Square, the City Park or the baths (Szechenyi, Gellert, Rudas) are also close. You can be there in 20-30 min. Самый лучший хостел в Будапеште. А балкон с видом на базилику - это просто сказка. Amazing hostel, great location, nice rooms and staff. Would stay here again.